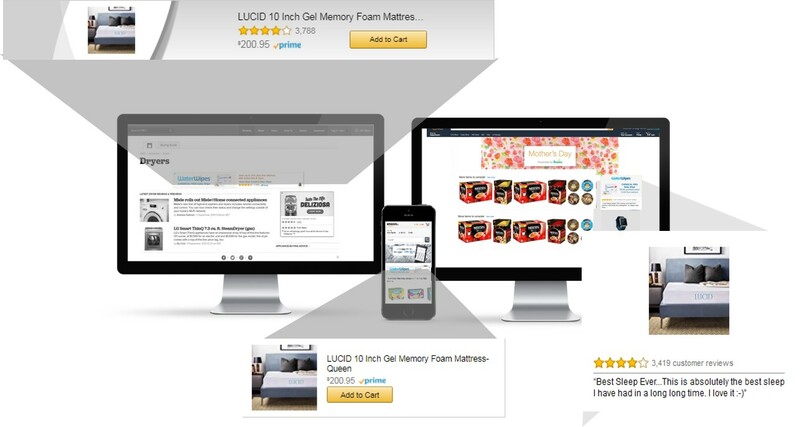 Linenspa, a rising sleep product company, was looking to build upon its strong search campaign results to drive more product sales on Amazon. The brand was seeing great success getting shoppers to our detail pages using Amazon Search ads and wanted to find ways to get more shoppers browsing their products to purchase. With that goal in mind, Linenspa chose to also test display ads. Using Amazon’s retargeting capabilities, LInenspa was able to engage shoppers that had visited the brand’s product detail page(s) with customized messaging that featured the products individual shoppers had viewed. The result was a 1.6X lift in return on ad spend and 2X the average daily sales for the promoted products. To learn more, read the full story here. Rhodius, a family-owned beverage company from Germany, wanted to increase awareness and engagement for its line of canned water products sold on Amazon. The brand was using Amazon Search ads (Sponsored Products and Headline Search Ads) to help influence purchase among shoppers actively searching for its products and, according to a marketing executive at Rhodius, saw “an opportunity to reach even more shoppers likely to buy our products.” In order to do this, the brand needed to broaden its strategy. Rhodius used display ads on and off Amazon to message audiences whose shopping behaviors indicated an interest in purchasing water. After completing a 3 month test campaign, Rhodius saw that combining display advertising with its search efforts had sparked a positive trend in shopper interest—with a 20% increase in searches for its brand and product keywords, as well as 56% growth in organic retail impressions for its products during the time their campaign was live. To learn more about how to use display to complement your search strategy contact your Account Executive. If you don’t have an account representative, please contact us.